�9 for two small pedal boards. It might not be a bad idea to add another slat in the middle for centre support; perhaps take one from the side panels. wouldn't want it warping under your feet. Nice pedal board, but what is this ikea box? Is it new? I could do with a dozen of these things at work. 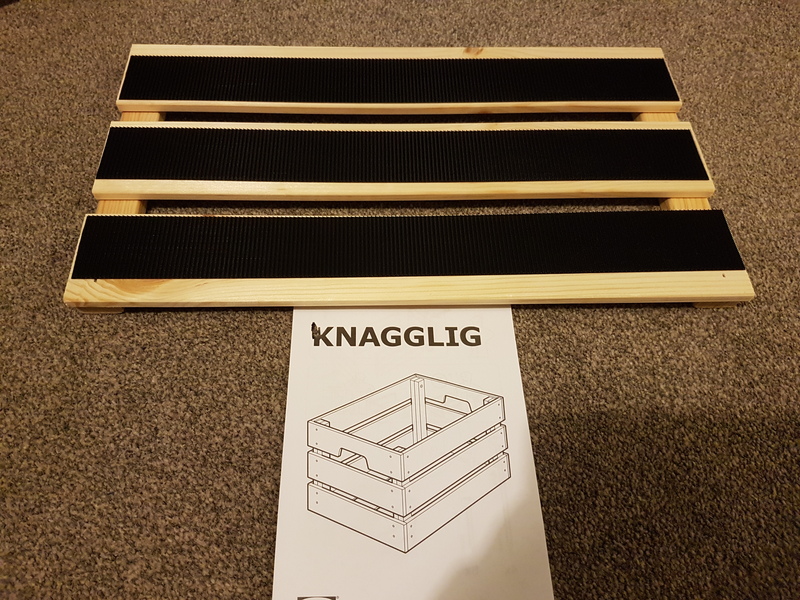 Yep I kea, bought it the other day, the 2 long sides hold 4 boss sized pedals + the top slat for a power supply (or 5 pedals if you stagger them with no supply) the short sides would hold 2 so 4 boards from the 1 box the base isn't slatted so wouldn't be any good. Oh and you don't even need to put it together that's one of the 5 bits that's already made up.